We Come to you! Free In-Home Estimates! Wood House Floors is the premier company for affordable, brand name flooring in Tampa, New Port Richey, Clearwater, Brandon, and surrounding communities. That’s because we buy directly from the factory, and are able to offer our customers wholesale pricing on brand name hardwood, luxury vinyl plank and laminate floors. Wood House offers flooring for Tampa area homes and businesses from several reputable brands such as Armstrong, Bruce, Coretec, Anderson, Nuvelle, Southland, Shaw and more. Our mobile showroom is stocked with flooring samples from these manufacturers and more, so you can browse our selection in the comfort of your own home or business located in Tampa or any nearby city. With our mobile showroom services, not only will you be able to receive expert advice from our friendly and knowledgeable sales staff, you’ll also be able to match your new floors to your current décor. The new flooring for your Tampa area home or business will come with the manufacturer’s guarantee, and Wood House Floors provides a warranty on all our installations, giving you peace of mind and assurance that your new floors will last for many years to come. WHF also offers a variety of wholesale kitchen cabinetry that is sure to please even the most discriminating buyers with the best pricing in the Tampa Bay area. Flooring installations available in Hillsborough, Pasco, Hernando, Polk and Manatee Counties. We also work with flooring contractors, interior designers, builders and architects supplying materials and or labor for a variety of projects of all sizes in the Tampa Bay area. Wood House Floors brings confidence to its clients through years of experience and the quality of work provided. Hardwood, LVP and Laminate floors add value and comfort to any interior design. Let us help you choose the right floor for your home. 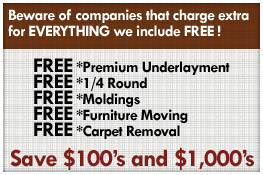 We also offer expert wood, luxury vinyl plank and laminate flooring installation, and free estimates. At Wood House Floors in Tampa, we know how much you value your time and your money, which is why we make customer satisfaction our number one priority. At Wood House Floors we have a wealth of experience and you can be sure that you will get the best selection and lowest pricing on your laminate, luxury vinyl plank and tile, engineered wood, or hardwood flooring Plus, unlike other Tampa flooring companies, Wood House never charges extra for services like delivery, furniture moving, carpet removal and basic finishing touches and moldings. This means that when you choose Wood House Floors, you’re getting the best deal on a complete flooring package from a dependable and professional company. What’s more, if you decide you would like to complement your new vinyl tile, laminate, or wood floors with beautifully crafted cabinetry for your kitchen, Wood House Floors can offer you the same high quality product and affordability on cabinets in Tampa as we do for flooring. 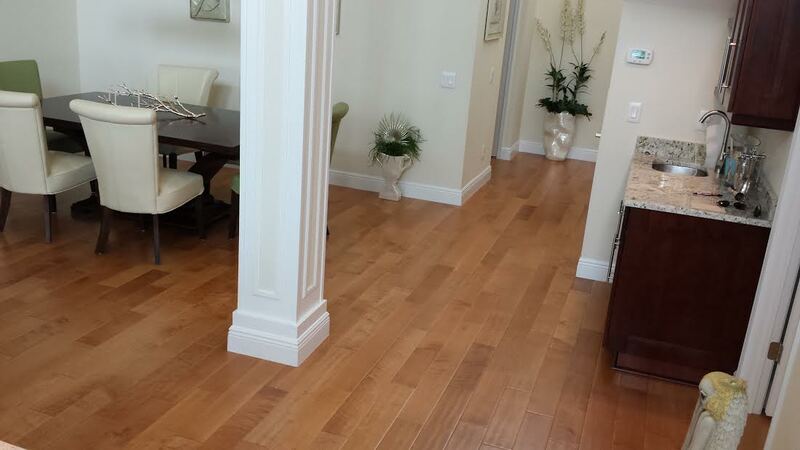 Wood House Floors is the premier hardwood flooring company for Tampa, Clearwater, Largo, and surrounding communities. We pride ourselves on our ability to provide unbeatable prices on high-quality flooring from top manufacturers. Samples of our gorgeous wood floors are kept in our mobile showroom, which allows us to bring our hardwood flooring store to your home anywhere in the Tampa Bay Area. With this service, you’ll be able to choose the perfect wood floors to complement the rest of your home décor. In addition to our unique mobile showroom, our personal service as a hardwood flooring company also help us stand out among other Tampa flooring companies.